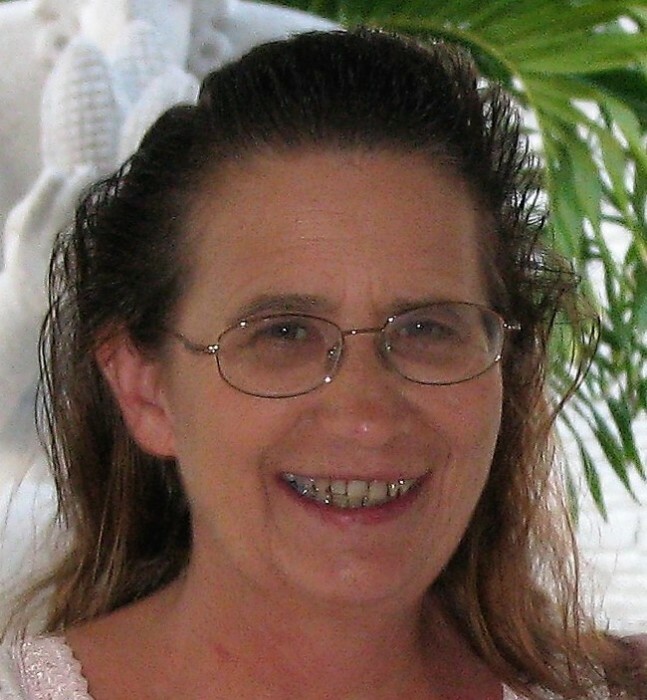 Rebecca Lunsford, 63, of Moores Hill passed away Friday, August 31 at Margaret Mary Health in Batesville. Rebecca was born Saturday, November 6, 1954 in Cincinnati, Ohio the daughter of Charles and Govie (Leonard) Merkel. She married Larry Lunsford June 17, 1972 and he preceded her in death December 5, 2013. She retired from Aurora Elementary Community School as a cook. Rebecca was a member of Sparta Baptist Church, Women of the Aurora Moose and graduated from North Dearborn High School in 1972. She enjoyed bingo, camping, traveling and spending time with her family. Rebecca is survived by son David (Beverly) Lunsford of Moores Hill, daughters: Teresa Cowan of Moores Hill and Jennifer (Joseph) Schantz of Brookville, brothers: Mike and Ken Merkel, sister Patti Sackett all of Lawrenceburg and seven grandchildren. She was preceded in death by her husband Larry and her parents. Funeral services will be held at 11 AM Wednesday, September 5 at Laws-Carr-Moore Funeral Home at Milan with Pastor Rick Burcham officiating. Burial will follow in Mount Sinai Cemetery. Visitation will be 5 - 7 PM Tuesday, September 4 also at the funeral home. Memorials may be given in honor of Rebecca to the American Cancer Society, Children’s Hospital of Cincinnati or Sparta Baptist Church. Laws-Carr-Moore Funeral Home entrusted with arrangements, 707 S. Main St., Box 243, Milan, IN, 47031. (812) 654-2141 You may go to www.lawscarrmoore.com to leave an online condolence message for the family.